Villa Costa piccola is amazing holiday villa with private pool located in a nature park and away from the hustle and bustle of the city’, but less than 7 kilometers away from Umbertide. Umbertide ( small town with 16.650 inhabitants), there are many restaurants, supermarkets, shops, that offering a wide variety ‘of services and activities’ recreation, including fishing (world race field), golf, tennis, horse riding, hiking and SPA. Villa’s location, is perfect to looking for art, quiet and nature, tasting typical products also with guided tours, wine and food tours. The geographical position facilitates daily trips to visit the charming medieval villages, churches and the best enological and gastronomic routes. 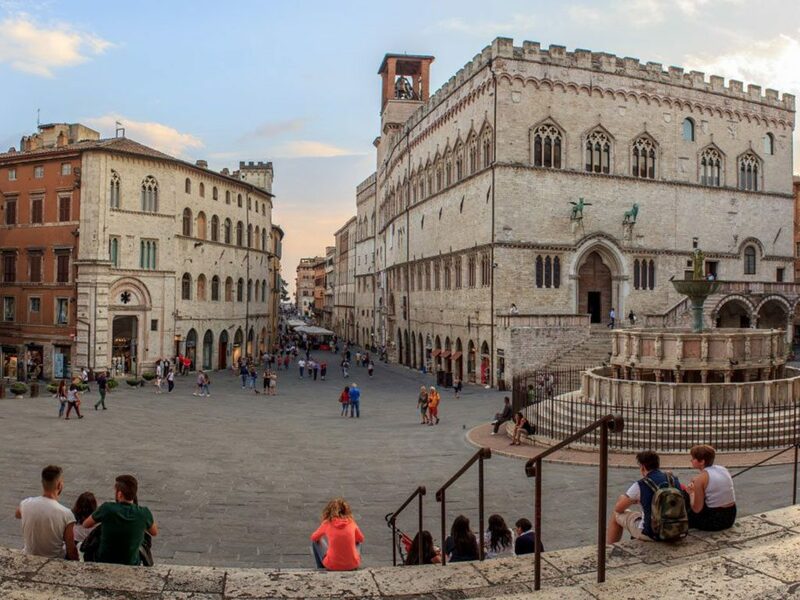 From here you can go on a trip to the well-known towns as Assisi, Perugia, Gubbio, 30 kilometres away, about 30 minutes by car. Trasimeno Lake is at 15 chilometres away. Restaurants and pizzerias are approximately 2 km away. 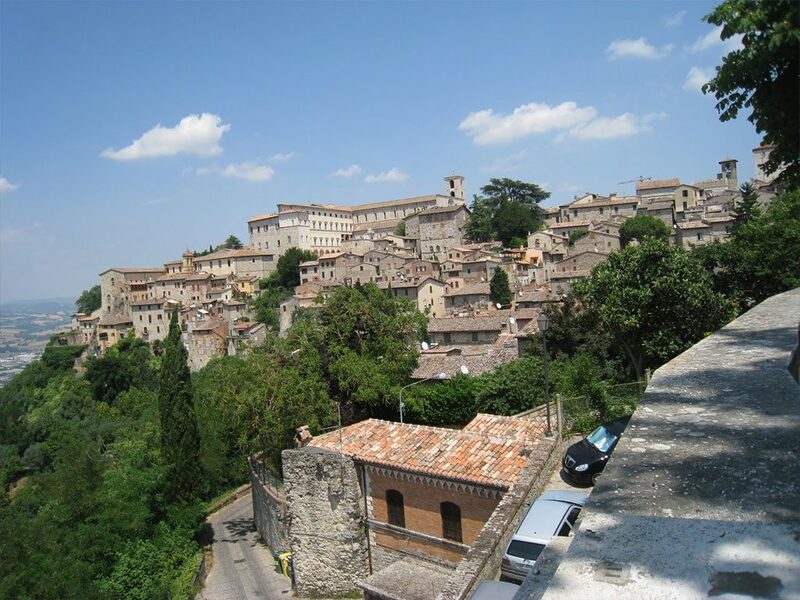 The villa is easily reachable from Umbertide only 7 km, from Perugia 30 km; Rome airport is 200 km away. 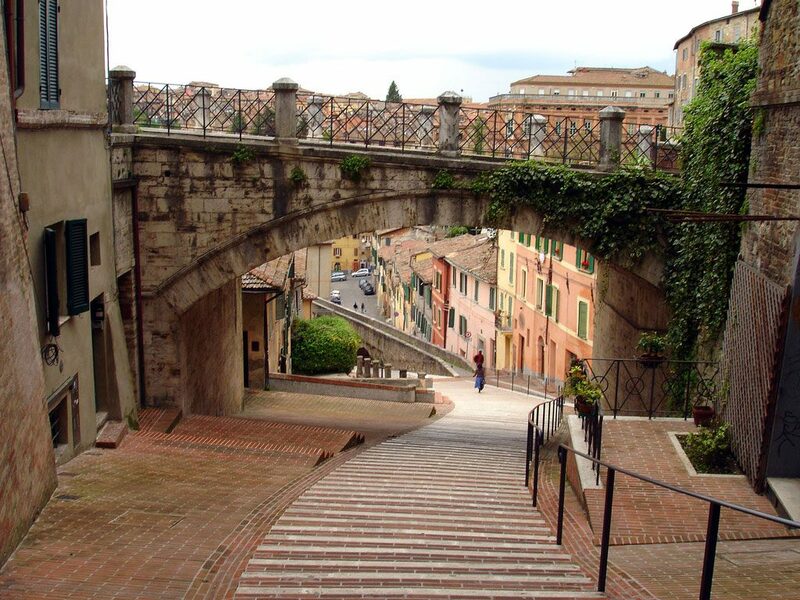 Perugia is an Italian town of 165,668 inhabitants, capital of the Umbria region. 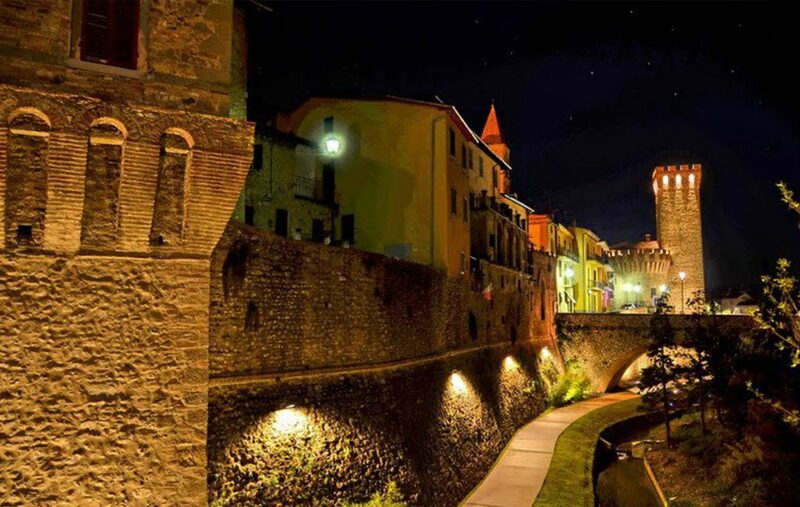 Art city, rich in history and monuments, founded by the Etruscans, is cultural center of the region, a tourist destination and university. 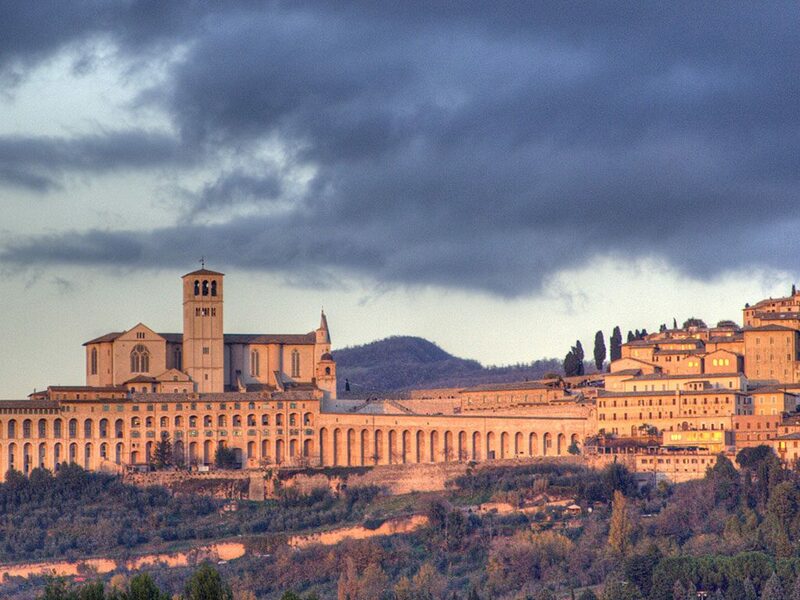 Assisi is known for being the city where were born, lived and died San Francesco, patron of Italy and Santa Chiara. 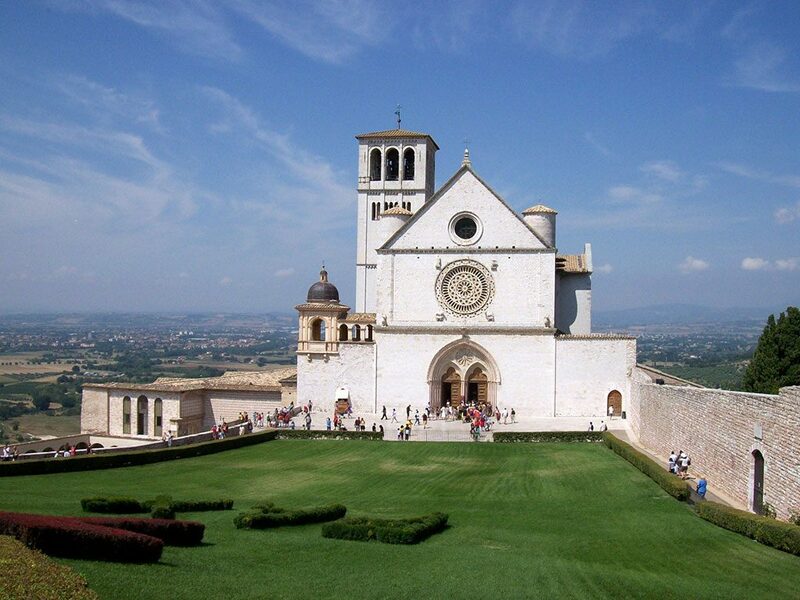 Assisi houses a huge historical and artistic heritage, not only on the surface but also in the underground. 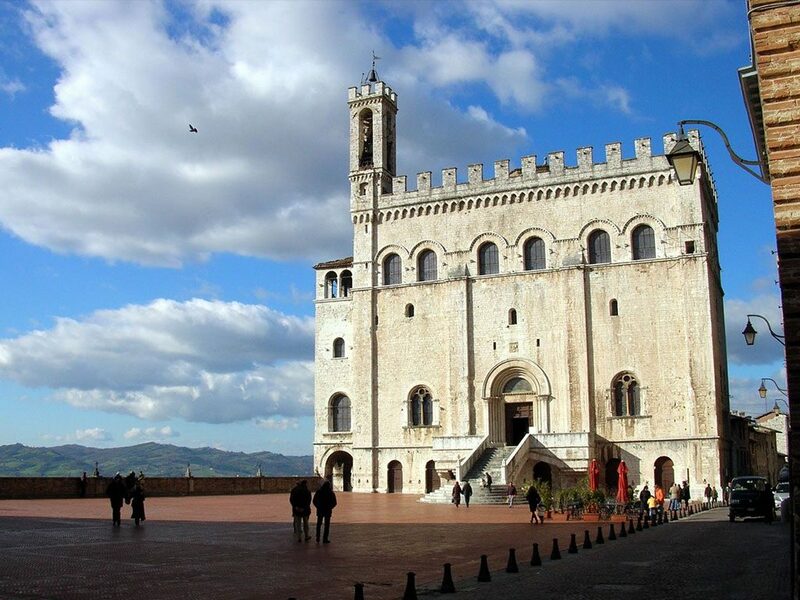 Gubbio is a medieval town perched on Mount Ingino. Among the most important monuments is the Duomo which boasts 16th century paintings, Palazzo dei Consoli in gotich style with its crenellated top. With the cable car you get on Monte Ingino, where is located the Basilica di Sant’Ubaldo from here enjoy the scenery of the Apennini mountains. 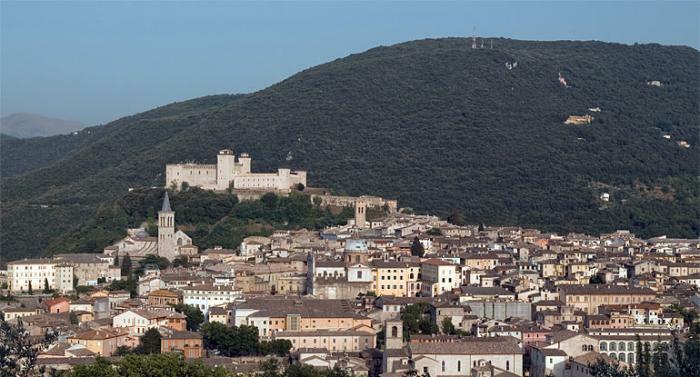 Gubbio is famous for the “biggest Christmas tree in the world” and for the “Corsa dei Ceri”. Amazing and surrounded by three walls (Etruscan, Roman and medieval), this city dominates the Tiber valley from the top of the hill on which it is built. Inside the the sixteenth’s century walls of you can admire the Torre Civica, Torre del Vescovo, Palazzo Vitelli-Bufalini, Municipal Art Gallery, Chiesa San Domenico. The City binds its name to a great twentieth century artist Alberto Burri (Città di Castello 1915 – Nice 1995), one of the greatest exponents of Italian informal art. His works are exhibited in two museum sites: Palazzo Albizzini and Ex Essiccatoi del tabacco. The main square “piazza della Repubblica”, is a concentrate of architectural works such as Duomo, Palazzo Comunale and Palazzo Trinci. But in June and September the city teases even more the imagination of visitors, especially those of the gourmet, with its carousel of the Quintana, a knightly tournament that takes place in period costumes and which also provides the opening of taverns and local restaurants where you can taste typical dishes of the Middle Ages. 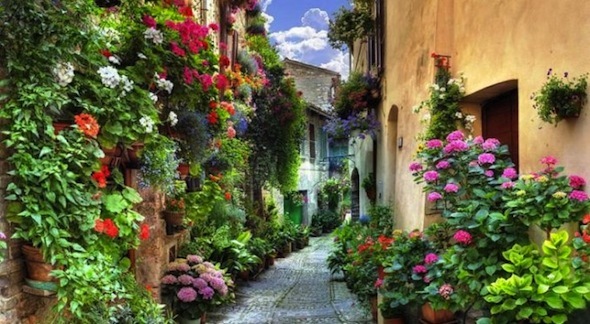 Spello is one of the most beautiful villages in Italy. In some periods of the year it is possible to admire “le infiorate”, carpets and paintings made of flower petals that look more like works of art than simple decorations. 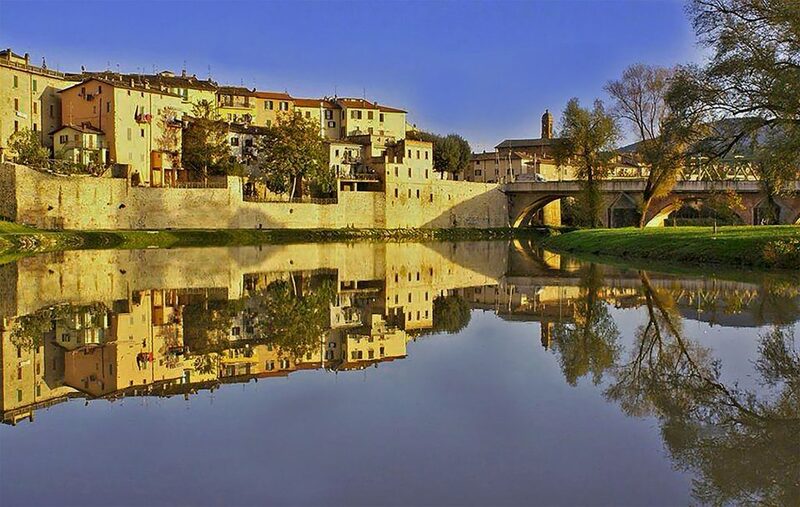 In this city it goes through the Roman era with the medieval one, not only the historical sites to visit as famous “Ponte delle Torri”, imposing for their height and majesty, but also kermes that animate this place with culture and music. The most important event, which attracts thousands of visitors every year, is the Festival dei Due Mondi, a triumph of concerts, theaters, opera and dance performances by world-renowned artists. 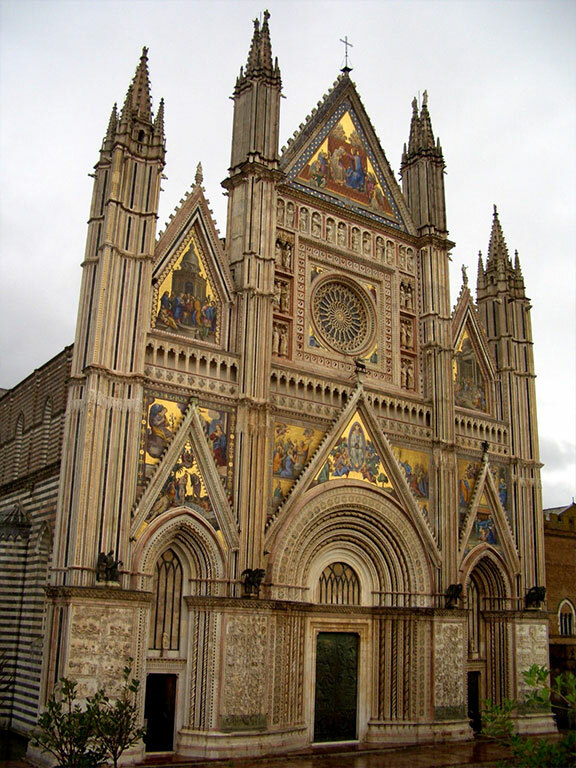 This beautiful town is the favorite destination for those looking for quality tourism: Orvieto offers its visitors a rich historical, artistic, gastronomic and environmental heritage. 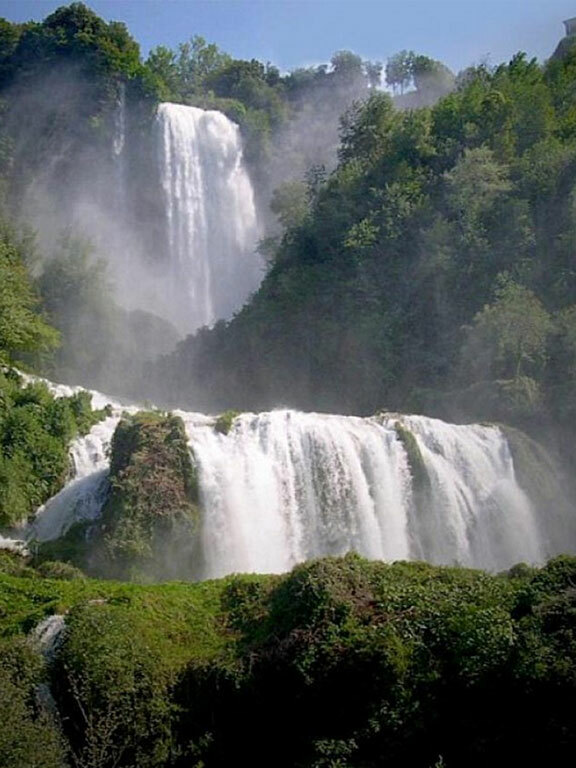 Marmore waterfall, among the highest in Europe with its three “jumps” of 165 meters and among the most spectacular in Italy. Lovers of extreme sports can also practice rafting on the Black River. 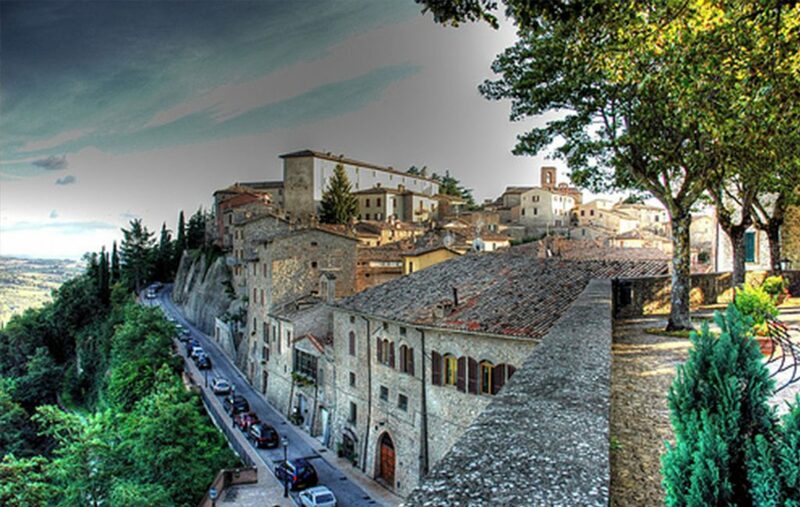 The most beautiful village in nearby Tuscany. 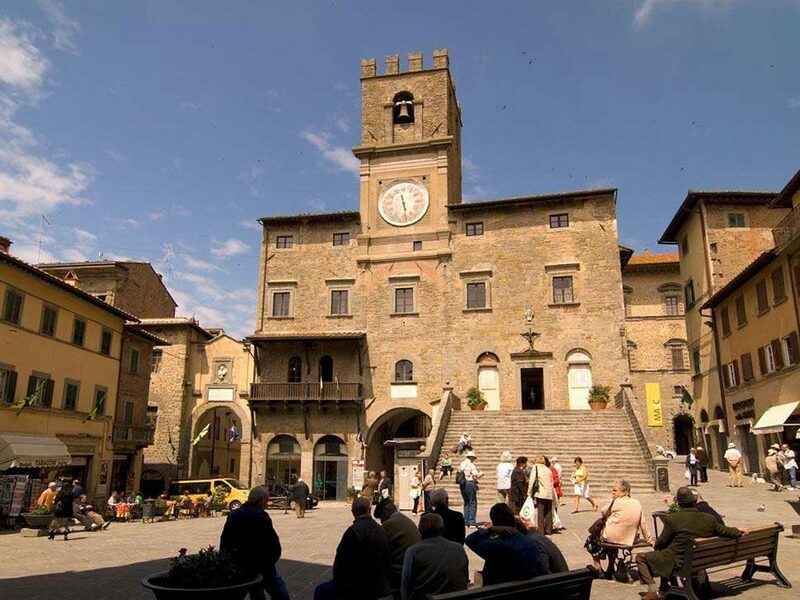 Art city of Etruscan origin in the province of Arezzo, is about 40 km away. It is the second most important cultural and tourist center of the Val di Chiana.